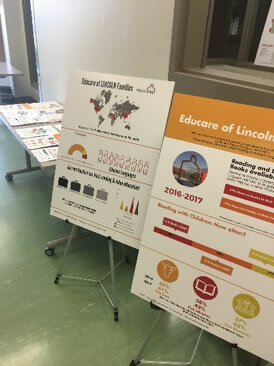 Educare of Lincoln opened in March 2013, and is currently a collaborative effort between the University of Nebraska-Lincoln, Buffett Early Childhood Fund (BECF), and Lincoln Public Schools (LPS). Educare of Lincoln is part of the larger, national Educare network of schools located throughout the US. Educare builds on Head Start and Early Head Start guidelines and program services. Educare is designed to give students in poverty an improved chance for success in school and life by advocating for and providing the highest quality care and education from birth to age five. Students and families from low-income homes often face unique barriers in developing foundations for academic success. Educare’s program model is designed to help at-risk students and their families overcome such barriers. Educare’s mission is to ensure that these students receive the services they need to arrive at kindergarten ready to learn and participate on par with their more economically advantaged peers. Educare is based on research from a variety of relevant disciplines, such as early childhood development, social work, and other allied fields. Social-emotional developmental theory informs all aspects of the model, as the development of healthy relationships and positive social-emotional skills are a key component of student academic success. Educare incorporates ongoing evaluations to assess the quality of classroom environments and students’ progress. Data are used for program improvements and policy development at the state and national levels. The Educare Model’s core features include data utilization, embedded professional development, high-quality teaching practices, and intensive family engagement. Through the coordinated implementation of these core features, Educare promotes high-quality early childhood programs that encourage strong family-school partnerships and parental support for children’s learning, helping to ensure that children grow up safe, healthy, and eager to learn. In turn, children are better prepared for kindergarten, increasing their chances for long-term academic and life success. Data and evaluation play a special role in the Educare Learning Network. Each Educare has a Local Evaluation Partner (LEP) and common data are collected across all sites and aggregated by the National Evaluation Partner (NEP). LEPs collect some unique local data as well, to help the program understand matters of local interest. The College of Education and Human Sciences at the University of Nebraska-Lincoln is the LEP for Educare of Lincoln. The evaluation is coordinated by Departments of Child, Youth, and Family Studies and Speech and Language Pathology. Under the supervision of faculty, graduate students are involved in data collection. In addition, after data are collected, teachers and parents are informed about children’s development, teachers and Master Teachers receive classroom observation scores, data dashboards are prepared, and annual reports aggregate data for the year.